It may not have thrived, but the 90-year-old Raymond has survived, unlike many of its contemporaries. 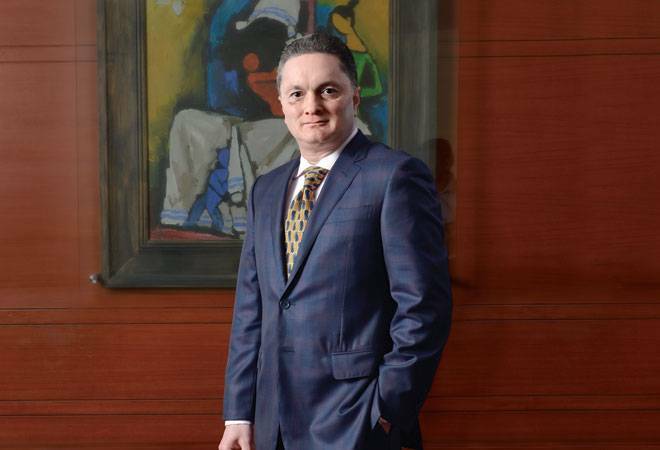 Gautam Singhania's passion for fast cars is well known. The 50-year-old Chairman and Managing Director of the Raymond Group owns several of them. An avid racer, he became the first Indian driver to win a race in the Ferrari Challenge Europe Championship 2015. He had 10 podium finishes in the series despite two accidents - one, a gear box failure while rounding a corner at 160 km per hour, and the other when he was caught between two competitors outracing each other. Both times, thanks to the high level of safety in the vehicle, he escaped unhurt. "Textiles is a difficult business to be in"
"Motor racing keeps me physically fit and agile, and mentally disciplined, focused and capable of split-second decision making," he says. What about the accidents? "Like many other sports, motor sport is also dangerous," he adds. "I believe in taking calculated risks, but not stupid risks." The same philosophy seems to drive his business. Having taken over Raymond from his father Vijaypat Singhania in 2000, he has, in five years, brought many changes into the 90-year-old company, all risks of a kind, adding new verticals and introducing new varieties. He has also recruited a number of talented professionals at senior levels, led by Sanjay Behl, CEO of the Lifestyle Business since 2013. And now, in a burst of action, the 90 year old organisation is undergoing unprecedented changes. Its being restructured to make it more nimble. Singhania is creating new business streams to convert cyclical revenue flow to round-the-year business. A digital initiative raymondnext.com is meant to counter the threat from e-tailers. And there is a new thrust on exports via its first international manufacturing plant in Ethiopia to avail export benefits to US and Europe. "The future of Raymond lies in its core textile and apparel space... and there will be dramatic growth in the ready-to-wear stores as well"
Raymond, always a heavyweight in the worsted (wool-based) fabric and suiting market, in which it still has 60 per cent market share, has also moved into shirting, bed linen, bath linen and custom tailoring - the last under the tag lines 'Made to Measure' (MTM) and 'Made to Fit' (MTF). Its suiting range is staggering, ranging from Rs 300 a metre to Rs 3,00,000 a metre. "Ours is the only brand in the world that transcends 1,000 times in price points," says Singhania. "We take pride in the fact that from a taxi driver to Ratan Tata, everyone wears the Raymond brand." He devotes a good deal of his time to overseeing research and development (R&D), examining the quality of Raymond's fabrics to make them even better. Raymond is the only company in the world to make Super 250 count wool, where each fibre is 11.4 microns thick, or one-third as fine as human hair. But are the steps Singhania has taken enough to grow the Raymond legacy, especially, given the disruption caused by e-commerce? "Textiles is a difficult business to be in," Singhania admits. First, the pluses: Raymond is still going strong while many of the rival textile companies and brands from its heyday have either disappeared, or are in serious trouble. Names such as Mayur, Gwalior, Khatau, Binny, Dinesh, Dhariwal, Ambiking, Shakti, Vinar, S. Kumar, Bombay Dyeing's Cezari, Reliance Industries' Vimal and more, may resonate with people of a certain age, but millennials would not have heard of them. But they all know Raymond. The company also inspires great loyalty in its staff, mainly because it has a long record of treating them well. In an industry going through tough times and known for paying workers poorly, often on daily or weekly wage basis, it has made almost all 30,000 workers at its 10 plants permanent, with entry-level salaries at around Rs 14,000 a month. Many, both workers and executives, have been with the company for decades and have risen through the ranks. Harish Kumar Chatterjee, Vice President, Manufacturing, for instance, began as a trainee in the instrumentation department 30 years ago. Raymond has also tried to respond to the changing environment. "I think our competitors failed to invest regularly in modernising," says Singhania. "We brought in the latest available technologies and thereby grew the brand." Chatterjee provides an example. "At our worsted fabric manufacturing plant in Chhindwara, Madhya Pradesh, which was started in 1990, we produce 45,000 metres a day with 3,600 workers," he says. "At a similar plant in Vapi, Gujarat, which we started in 2006, we make 65,000 metres a day with 1,100 workers, because we installed the latest machines." Sanjay Behl sets forth more reasons. "The competition failed to understand how the market rapidly shifted from stitched fabric to readymade garments, how the retail environment dramatically changed and how the advent of international brands created a hyper competitive brand-centric market," he says. But there are also minuses: some analysts feel Raymond could have done better. "Textiles is a volatile business and the Raymond management has traditionally not been aggressive, transparent and focused enough to leverage the brand potential and market opportunity," says Arafat Saiyed, analyst with equity research company Quant, in a research report. In particular, the company has not been able to make any of its other brands as big as Raymond. It did try with the brand 'Makers', for a range of fabrics, but this did not take off. Indeed, the two other branches of the Singhania family, which broke away in the course of Raymond's long history, have done better. Raymond belonged to the JK Group, named after Lala Juggilal Singhania and Lala Kamlapat Singhania, who founded it in 1918. The Group took over the The Raymond Woollen Mill, started in 1925 to make cheap woollen blankets, in 1944. By the 1960s and 1970s, the JK Group had become the third biggest in the country, after the Tata and Birla groups. But thereafter it broke up into three - one headed by Gaur Hari Singhania, based out of Kanpur (JK Cements, JK Technosoft, etc. ), one by Hari Shankar Singhania, out of Delhi (JK Tyre, JK Papers, JK Lakshmi Cement, Fenner India, etc.) and Vijaypat Singhania's Raymond group, based out of Mumbai. The Kanpur and Delhi cousins still run multiple businesses with large turnovers and many group companies. At Raymond, Vijaypat Singhania took over in 1980, followed by Gautam two decades later. Gautam Singhania had to take some risks when he took over in 2000 as well. A host of legacy businesses - cement, steel and synthetics - started over the years as unrelated diversifications were funded through debt. The servicing of that debt was already exerting pressure on the financials of the profitable textiles business. "We had huge debts and I had a tough time," he says. "I thought, 'Let us sit down and focus and we'll get answers.'" The answer was to divest many of the non-core businesses and concentrate on textiles and apparel. He sold off Raymond's cement plant to Lafarge, the synthetics business to Reliance Industries and the steel business to German firm Thyssenkrupp. "Altogether we raised about Rs 1,500-1,600 crore. We cleared our debts and reinvested the rest of the money," he adds. 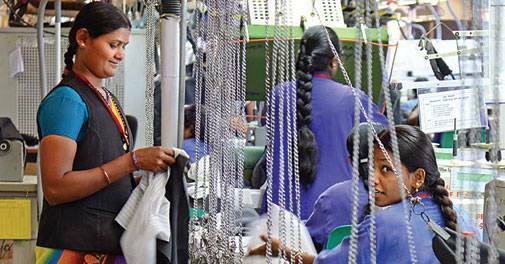 Some of the surplus went into buying the Chennai-based apparel retail brand ColorPlus and setting up the new manufacturing facility in Vapi. He also shut down the manufacturing unit at Thane and began a new shirting plant in Kolhapur in 2008. Revenues have climbed steadily in this period, but profits have been low - even plunging to losses for two consecutive years, 2008/09 and 2009/10 - with operational expenses high. After selling off one set of non-core businesses, Raymond moved into another - engineering, auto components, even condoms - but the diversifications have not yielded much. Investments in brand building and store renovation have continued to chip away at its margins. Still, the new recruits are making a difference. Indeed, Behl's mandate on his induction was to make the company future-ready. "What attracted me to the job was Raymond's potential," he says. "It is one of the strongest and yet most underleveraged brands." Formerly a top marketing executive in the Anil Dhirubhai Ambani Group (ADAG) involved with Reliance DTH, Reliance Communications and Reliance BIG Entertainment - and before that with Hindustan Unilever and Nokia - he began by overhauling the company's structure. 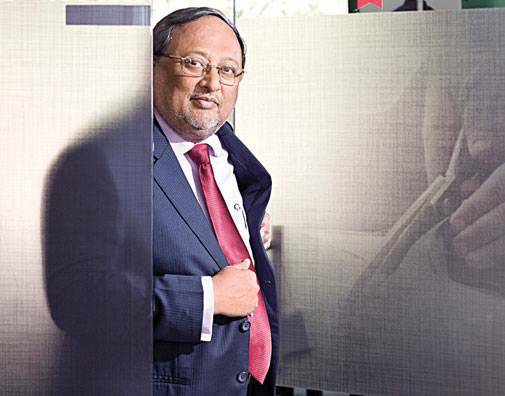 Earlier, Raymond's business comprised two broad verticals - textiles and apparel - each headed by a president who controlled every aspect and reported to Singhania. Textiles included all kinds of textiles - Indo-Western, shirting, denim and sportswear - while apparel comprised Raymond's four brands - Raymond, Park Avenue, Parx and ColorPlus. Behl recast the business into five strategic business units (SBUs) - shirting, suiting, apparel, garmenting and exports, and custom tailoring - each headed by a president, while finance, IT, e-commerce, HR and branding for all five were unified. IT solutions were entirely outsourced to Accenture. "The new structure helped drive each of these functions to the level of excellence," he says. "It also helped manpower rationalisation." 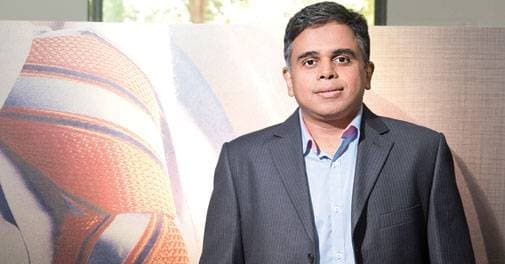 Behl also brought in a wave of new talent - Shantiswarup Panda from Hindustan Unilever (HUL) was appointed Chief Marketing Officer; Gaurav Mahajan from Trent made President, Apparel; Mohit Dhanjal, also from HUL, came in as Retail Head and Vijay Basrur from Quikr as E-commerce Head. He relocated ColorPlus's office and factory to Mumbai, shutting down the Chennai operations. He is trying to reduce raw material costs as well by searching for new markets to source wool. Currently, 36 million metres of woolen fabric is produced annually. Of all of the wool Raymond buys, 3,600 tonnes per annum come from Australia and South Africa; Uruguay is also now being considered. Finally, it is the IT platform that is Behl's most important focus. "The plan is to make Raymond a digitally immersed company, recast the manufacturing and supply chains, which are our biggest assets," he says. The entire supply chain has been brought under a common ERP SAP system. Stock keeping units (SKUs) in suiting have been reduced by 20 per cent and in apparel by 30 per cent, to clean up the supply chain and eliminate product overlaps. "At our Vapi plant, we make 65,000 metres a day because we have installed the latest machines"
It is just over three years that Behl has taken charge and the results so far have been mixed. Total revenue improved from Rs 4,143 crore in 2012/13 to Rs 4,621 crore in 2013/14 to Rs 5,428 crore in 2014/15. Net sales grew 17 per cent in 2014/15 over the previous year, net profit rose 5 per cent from Rs 108 crore in 2013/14 to Rs 113 crore last year, while the EBITDA declined by 6 per cent. Consolidated cash flow from operations went up from Rs 193 crore in 2013/14 to Rs 365 crore in 2014/15. Looked at segment-wise, branded textiles - which contribute nearly 50 per cent to Raymond's revenues - did well, with sales growing 24 per cent and the EBITDA margin 17.5 per cent. Branded apparel sales rose 15 per cent, but the EBITDA margin was only 1.2 per cent, due to rising expenditure on brand building and store roll outs. Among the brands, Park Avenue sales contributed 47 per cent, ColorPlus 24 per cent, Raymond Ready To Wear 17 per cent and Parx 12 per cent, as of December 2015. MTM provided another 3 per cent of apparel sales. The garmenting business had sales of Rs 533 crore in 2014/15, with EBITDA margin at 9.7 per cent due to higher branding costs. Silver Spark Apparel Ltd (SSAL), a wholly-owned subsidiary of Raymond, acquired a new garment-making unit, Robot Systems, from Gokaldas Exports Ltd in September last year, to add another 1.26 million garments per annum to Raymond's production. The high value cotton shirting fabric business showed 17 per cent growth last year with sales of Rs 393 crore. The denim business remained flat at Rs 962 crore, with EBITDA margin of 9.7 per cent. Overall, it was the auto and engineering business which dragged down performance. As for the first half of 2015/16, net sales have improved by just 2 per cent to Rs 2,601 crore over the corresponding period the previous year. Net loss was Rs 4 crore, due to an exceptional cost of Rs 32 crore - a provision made for impairment in the carrying value of the forging business assets held by auto component segment. But analysts are hopeful about the long term. "We believe high discretionary advertising expense and retail expansion will impact margins," says Aliasgar Shakir, analyst with Elara Capital. "However, there is likely to be strong scale benefit available in four to six quarters, which will drive up EBITDA sharply in 2017/18." Similarly, Sharekhan analysts note: "The Raymond management will continue to invest in brands and retail set-up, and thus margins will continue to be affected in the short to medium term. But the benefits will be visible after six quarters." Traditional brick-and-mortar retailers are feeling the pinch of e-tailing and Raymond's retail business is no exception. Raymond, too, sells its wares online, having launched the site RaymondNext.com as well as separate websites for specific brands. But so far, online sales contribute just 3 per cent to its revenues. It also sells through leading e-commerce companies, where, to ensure its own stores are not disadvantaged, its operative terms include a price advice, which bars e-tailers from selling at less. "Our omni-channel strategy will be ready in the next 12 to 18 months"
Singhania says e-tailing companies are "destructive" for the industry. Behl is belligerent, noting that at the end of 2015, Raymond had over 1,000 stores in 380 towns across the country. "All the top five e-players put together do not have this retail network strength," he says. "For me, every store is a warehouse and I can supply within two hours." But he knows the way the wind is blowing and the company is busy formulating an "omni-channel strategy" which will merge its physical stores and digital inventory. "This will be ready in the next 12 months," says e-commerce head Basrur. The company has a large land parcel of over 125 acres in Thane - where operations have been shut down - which analysts expect Raymond to monetise by selling off as real estate. It is also widely expected that the non-core businesses will again be sold off. Singhania confirms the latter. "We will do so at the right time if we get the right valuations," he says. "On the land sale: no comment." 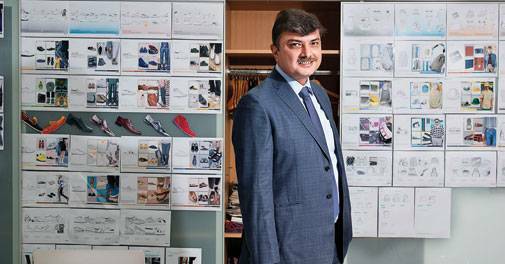 "The future of Raymond lies in its core textile and apparel space," says Behl. Raymond plans to add 10 million metres of capacity in shirting and garmenting in the next five years and open 40-50 new stores every year. "The highest growth will happen in the MTM stores," he adds. "And there will be dramatic growth in the ready-to-wear stores as well." He expects suiting contribution to sales to fall from 50 to 40 per cent as the other businesses grow. Singhania claims to not be worried that some verticals are not doing as well as others. He notes that MTM was run as a pilot project for three to four years, and only after getting it right did the company go into expansion mode. "Similarly, the other new verticals will also evolve," he says. Exports is another area Raymond intends to focus on. Although it exports to over 80-90 countries, primarily in Europe, exports contribute only 13 per cent of revenues. Singhania and Behl want to raise this to 25 per cent. The company is setting up a plant in Ethiopia, which is likely to make a big difference, as there will be no export duty for the first 10 years for products going to Europe and the US. It will also be a gateway to all of Africa. Besides, Raymond has plans to set up a Rs 1,400-crore manufacturing unit, spread over 500 acres, in Amravati district, Maharashtra. The restructuring exercise will continue till 2017. By 2020, the focus will be on rebalancing the product portfolio as well as the company's manufacturing and procurement strategies. Some of the other objectives to be pursued are complete digital integration, automation of HR practices, and increasing the share of male grooming products, corporate wear for women, children's clothing, ethnic wear - both created in-house and outsourced - and accessories such as leather and natural fibres in the revenue pie. The company is also considering setting up a linen manufacturing unit. 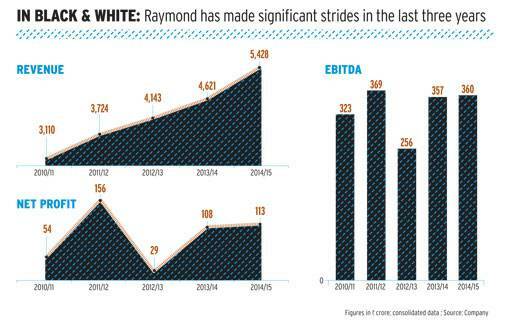 Raymond wants to improve operating margins to above 20 per cent and return on capital employed (ROCE) from11 per cent to 15 per cent. Singhania knows distribution remains key to Raymond's growth. "Our distribution partners are our biggest strength," he says. "Many of them have been with us over three or four generations. This business is not only about products but also about relationships." Raymond's goal is to add still more partners, achieving 200,000 outlets in 500 cities within the next five years. "All companies go through tough times," says Singhania. "Tough times don't last, but tough men do. We're going to fight it out. We have a strong brand, market leadership, strong cash flow, low debt, a profitable company and big plans."